Sizes EU 25/26 - 36. 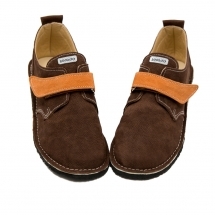 Genuine suede leather & Sole - EVA or Vibram® rubber. Appropriate for in-door use, kindergartens, yards and walking outside in a warm dry weather. 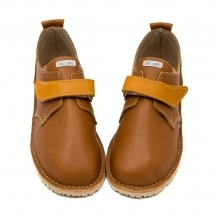 Soft, comfortable and lightweight leather sandals.Sizes 16/17- 24. Vibram® rubber sole. Choose your best width!